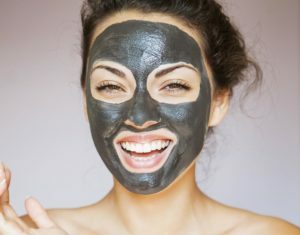 Also known as the “Hollywood Facial” because of its popularity with celebrities as one of the best treatment before an event as the result is immediate and lasting. Carbon Laser Peel at Vitality Works Medical starts with a layer of liquid carbon applied to the surface of the skin penetrate deep into the pores. Laser light is highly attracted to the carbon articles. Therefore, after destroying the carbon with laser beams, it also takes dead skin cells, contaminants and oil with it. That results enhances the skin’s radiance and promoting a smooth, glowing complexion. Carbon Laser Peel is safe for all skin type and perfect before a party. This is because Carbon Laser Peel does not have any downtime nor cause redness after treatment and produces immediate glowing skin results. Clients who are using Retinol (all percentages) must stop use four weeks prior to treatment. Clients who are using Accutane. Clients who are on blood thinners.